Kingston has announced recently that it is shipping the most anticipated mobile storage drive from 2017 International CES, DataTraveler Ultimate Generation Terabyte (DTUGT), the world’s largest capacity USB Flash drive. 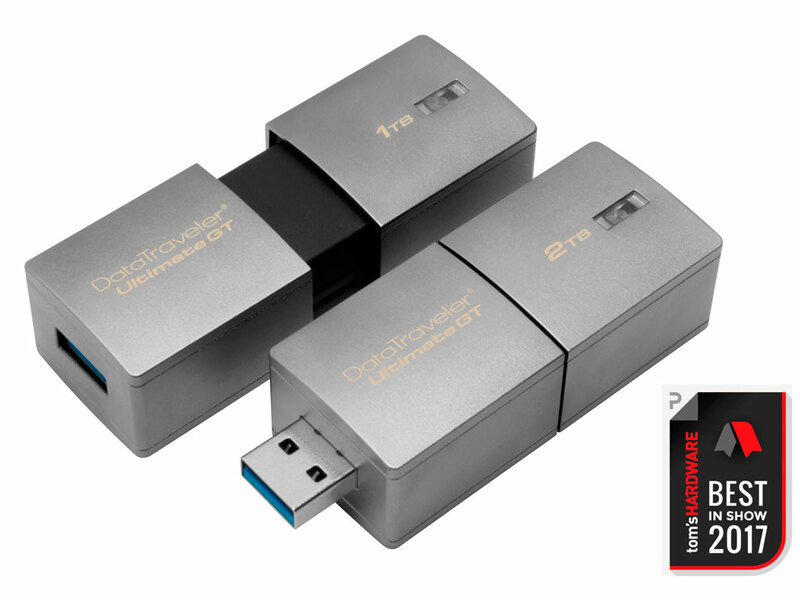 DataTraveler Ultimate GT offers up to 2TB of storage and USB 3.1 Gen 1 (USB 3.0) performance. With the release of the DataTraveler Ultimate GT, users can push the boundaries of their storage needs and ensure that they have more than enough space to store their video, photos and files in a small form factor. This year, DTUGT was awarded “CES 2017 Best In Show” from Tom’s Hardware, one of the most respected technology hardware sites around the world. DataTraveler Ultimate GT features superior quality in a high-end design and zinc-alloy metal casing for shock-resistance. Tech enthusiasts and professional users with high-capacity storage needs will have the ability to store immense amounts of data in a portable form factor, up to 70 hours of 4K video storage on a 2TB drive. For more information please see below or refer to the following reference table for storage capacities.